By Andy Diggle, Jock, Rob Williams, Henry Flint and Simon Coleby. Sometimes it takes a special kind of Judge to work the mean streets of Mega-City One. Meet Lenny Zero and Aimee Nixon, two under-cover Judges who work the lowest levels of the Big Meg, mixing with mob bosses and murderers alike. 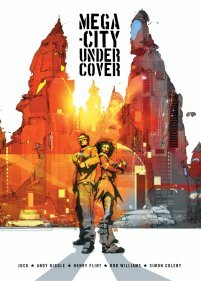 Featuring the writing of Andy Diggle (The Losers) and Rob Williams (Asylum) along with the stunning artwork of Jock (Green Arrow), Henry Flint (Shakara) and Simon Coleby (Judge Dredd) this collection of Sci-Fi Noir is not to be missed! By John Wagner and Colin MacNeil. 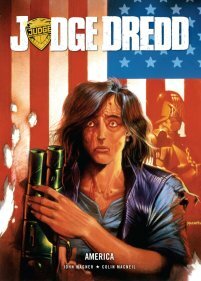 In Mega-City One, the Judges are the law - acting as judge, jury, and executioner. But how do the citizens really feel about a system where they are powerless? America Jara and Bennett Beeny grow up as best friends, living a fairly trouble-free life in a dangerous city… bar the odd encounter with a Judge. Time draws them apart, and when they are brought back together, Beeny is a successful singer and America has become involved with a terrorist organisation - with the Judges in its sights! Written by John Wagner (A History of Violence) with art by Colin MacNeil (Judge Dredd: The Chief Judge's Man) this dark and complex tale is a true 2000 AD classic! By Alan Grant, Simon Harrison and Colin MacNeil. 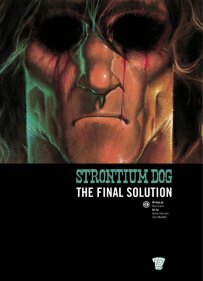 In a ravaged post-Atomic War Great Britain the twisted Lord Sagan and his fundamentalist mother have seized the reins of power and plan to deal with the mutant issue once and for all. Opening a gateway to an alien dimension they promise the mutants a new land - a utopia - but on the other side the exiles face only death. Johnny Alpha and Middenface McNulty hear of the enforced exodus and head to Earth to stop the madness. Together they face an awesome and arcane power that may threaten the Search/Destroy Agents' very future! Journalist Brian Skutter's got an interview with Judge Death! 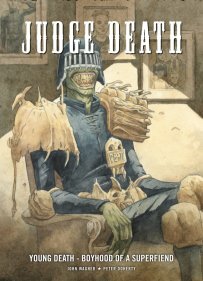 Probing deep into Death's past, he'll find the boy behind the monster… and the whole, horrible truth about the most evil force in Judge Dredd's world. Chronicling the birth of everybody's favourite superfiend this true classic is packed full of the blackest humour and the darkest horror. You'll laugh, you'll cry… you'll beg for mercy! Written by Judge Dredd co-creator John Wagner with art by Peter Doherty (Devlin Waugh) this irreverent tale is one you won't want to miss! Rising from The Abyss... It Hungers! 'Around the world in eighty days - in style!' This proud claim, made by the Carcharodon Shipping Company, is about to be put to the test as its newest and most magnificent submersible cruise liner, the Neptune, sets sail on its maiden voyage. Among those onboard is Ulysses Quicksilver, dandy adventurer and hero of Magna Britannia, enjoying a well-deserved sojourn after the traumatic events of Queen Victoria's 160th jubilee celebrations. But only days out from the undersea city of Pacifica disaster strikes. 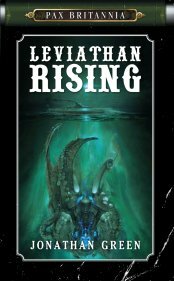 A brutal murder is committed and then an act of sabotage sends the Neptune plunging into the abyssal depths. Trapped at the bottom of the sea, for the survivors, their problems are only just beginning. Far below a decades' old secret awaits them. The Kraken has awoken. Rising from the abyss it hungers and when it hunts none shall escape its primeval fury! INCLUDES BONUS NOVELLA 'VANISHING POINT'! As America lies bleeding, Native American Chief Hiamovi seeks to unite his people into a single nation capable of reclaiming the US from the white man. His growing army is on a collision course with cult leader Samuel Colt, who intends to put the country back in the iron grip of the once mighty Neo-Clergy. The two men are set for a showdown at Little Bighorn, once site of Custer's legendary last stand, now a twisted, nuclear landscape. The fate of the battle may just be decided by Anna Bontraeger, rescued from a brothel by rogue scientist Matthew Greaves and taken on a perilous road trip across a devastated continent. 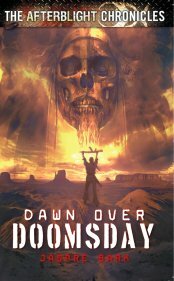 Greaves and his small band have to get Anna to Little Bighorn before Colt or Hiamovi, so she can unlock the secrets which will save what remains of humanity and bring about a new dawn over Doomsday!